Aloha! October is Hawaii month at The Points Guy, so check back regularly for flight and hotel reviews, features and deals from Maui, Oahu, Kauai and the Big Island of Hawaii. If you’re planning a trip to Hawaii, you should make the most of the far-flung getaway. Whether you’re looking for an adrenaline-pumping thrill, a spectacular splurge or simply an adventure you can’t have anywhere else on Earth, these outrageous experiences you can have on the Hawaiian Islands prove there’s so much more to the Aloha State than the Road to Hana and poolside Mai Tais (though yes, you can have those, too). #AVGeek alert: You can actually explore the cockpit of a Corsair plane that sits at the bottom of the Pacific (if you can make it past the octopus, frogfish and eels that guard it). The wreck, though small, has been there since 1946. 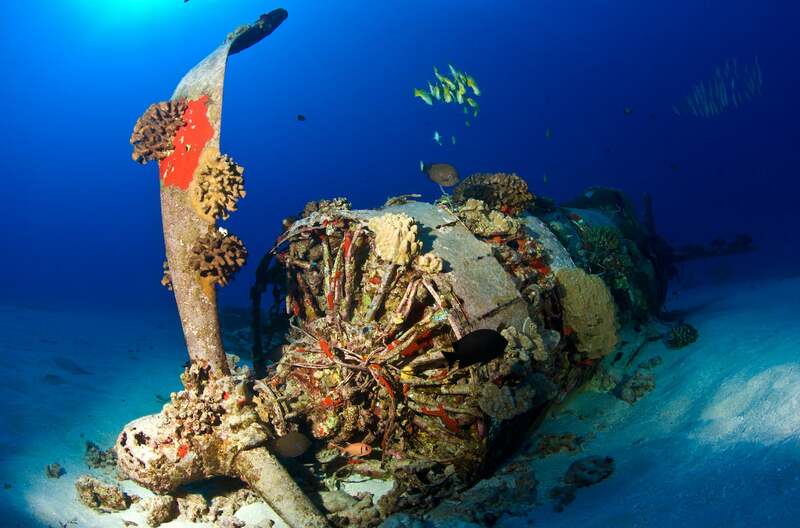 Besides the airplane, there are a number of shipwrecks you can dive through, including the Sea Tiger wreck, the YO-257 and the New Barge, home to many sea turtles. Niihau is a private Hawaiian island owned by the Robinson family. There are only two ways to visit the island: get a private invitation from the family, or sign up for a hunting or helicopter tour. Since getting an invite is, well, unlikely, book the tour. The helicopter tours start at $440 per person for a half day and include a ride over the island, where you’ll land on a beach for swimming, snorkeling and maybe even see reef sharks mate. The hunting tours, referred to as safaris, include hunting for wild Polynesian boars, hybrid sheep and the more elusive wild eland, wild aoudad (Barbary sheep) and oryx. Hunts start at $1,950 per day, though there are a number of ancillary fees, too. A dream for animal lovers — well, cat lovers — the Lanai Cat Sanctuary is the perfect place to embrace your inner crazy cat lady. This nonprofit organization cares for over 600 cats while also protecting threatened native birds populations. Bring a picnic lunch and spend the day socializing with the felines. Admission is free, but donations are accepted. And if you really have a thing for cats, consider volunteering there for a longer period of time, sponsoring a cat or even giving one a fur-ever home. 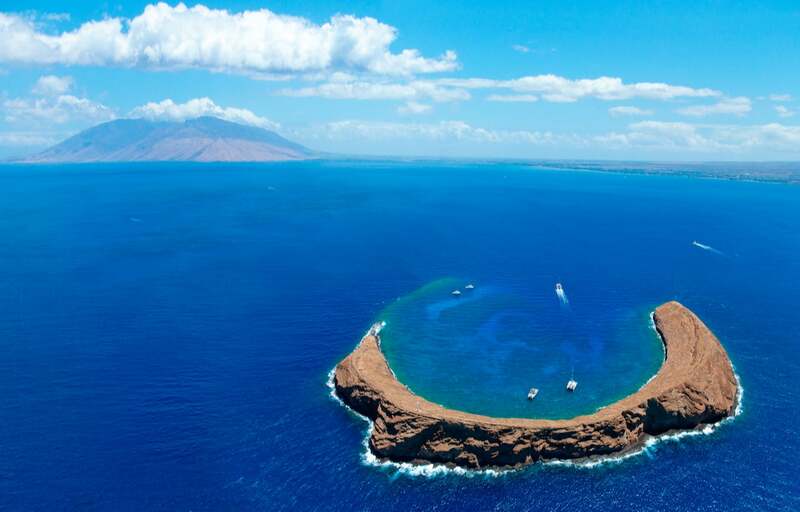 This tiny, crescent-shaped islet known as Molokini is a volcanic crater home to a 150-foot deep reef that boasts more than 250 fish species. Ideal for snorkeling and diving, the crater’s crescent shape provides protection from powerful winds and swells. Molokini is also considered a sanctuary for wildlife such as birds, reef sharks and humpback whales. Access to the crater is limited to travelers with permits, so plan to sign up for a tour if you’d like to swim, snorkel or dive there. Stargaze with some of the world’s largest telescopes at Mauna Kea Summit with Mauna Kea Summit Adventures. Tours include dinner, hot drinks, Arctic parkas (temperatures drop down to 30 degrees Fahrenheit on the summit) sunset views and of course, stargazing with some very high-tech telescopes (specifically, 11-inch Celestron CPC 1100s). Tour prices start around $195 per person plus tax. Travelers can also opt for free stargazing with the Visitor Information Station on Tuesdays, Wednesdays, Fridays and Saturdays, weather permitting. Get lost exploring the 4,000-square-foot nature reserve, Kualoa Ranch. Drive ATVs through mud pits and jungles, or zipline over the treetops of the Jurassic Valley. 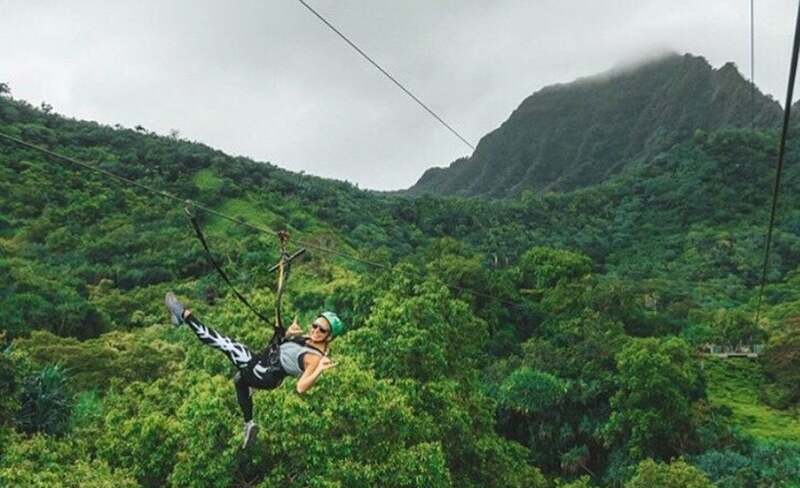 The zipline has two suspension bridges and seven tandem sections — and you’ll be flying above the area where Jurassic Park was filmed. If these tours are a little too intense for your liking, there are also horseback riding and kayaking tours. Prices vary. 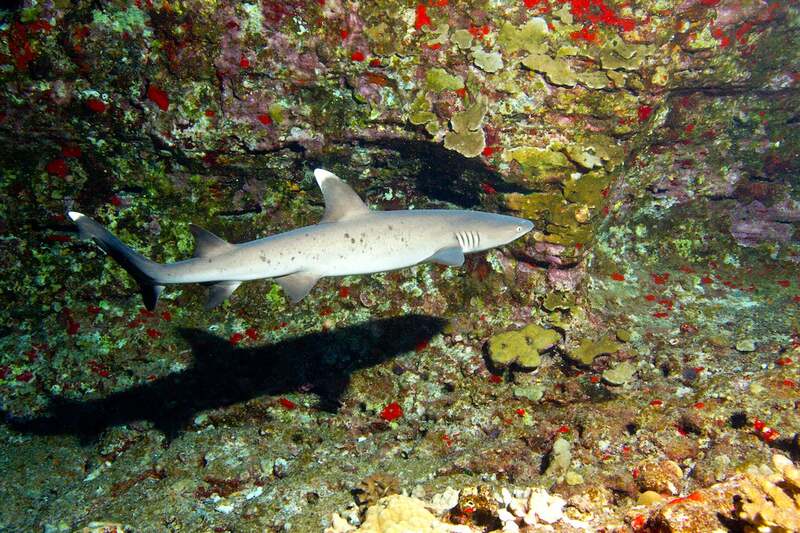 Intrepid divers should take an excursion with Maui Ocean Center to swim with sandbar sharks, blacktip reef sharks, whitetip reef sharks, grey reef sharks, hammerhead sharks and maybe even tiger sharks. Meanwhile, your family members and friends can admire your bravery through the viewing area! Dive packages start at $200. For truly fear-free travelers who want to have a close encounter with sharks outside an aquarium, there’s always cage diving with sharks on the island of Oahu. Live out those Peter Pan fantasies with low-key cliff jumping, where you can “walk the plank” and dive off a slender, wooden board into the ocean. The planks aren’t very high, but it’s an unusual and exciting way to experience the island’s famed cerulean waters. Though the boards are occasionally removed, they are often replaced with new ones, so head over to Alan Davis Beach to test your luck. The waves at Pe’ahi are some of the largest in the world. Actually surfing them should probably be left to professionals, but even kicking back and watching the surfers do their thing is pretty impressive. Getting there is itself a feat, as you’ll need a car with four wheel drive to reach the lookout point on the Pe’ahi cliffs above the break. Molokai is one of Hawaii’s less-touristed islands, so if you want to get off the beaten path, head there and plan to visit isolated Kalaupapa: a former leprosy colony. Folks with leprosy were banished to the colony in the 1860s, making it a quirky day trip for history buffs. You can even get there on a mule. Your mule will inch past sheer drops and navigate switchbacks while you enjoy incredible ocean and mountain views. Mule tour prices start around $200. 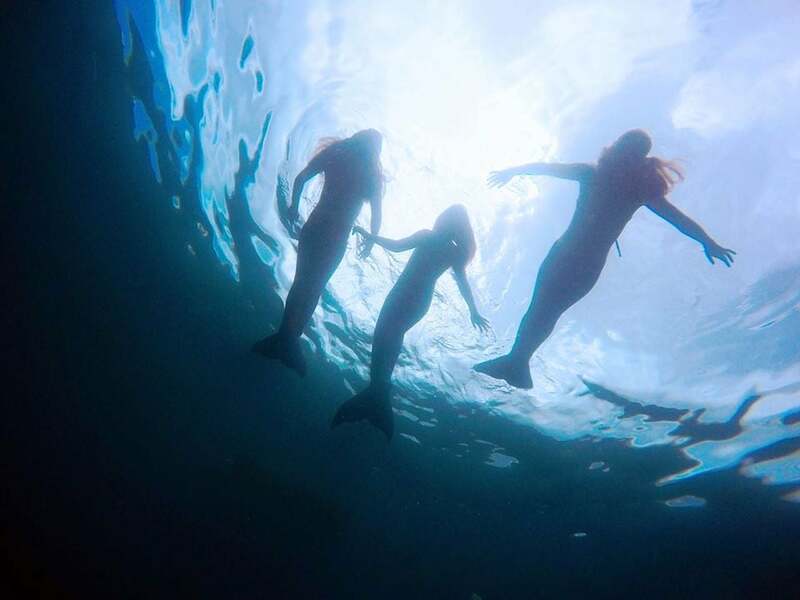 If you’ve always wanted to be a mermaid, here’s your chance. Mermaid Adventures gives you your very own mermaid tail with a lesson on how to swim in it. Underwater photographers will capture you in in all your mermaid essence. Although this experience is technically geared toward children, we’ve seen crazier things than an adult in a mermaid outfit, so go for it! Prices start at $199 for a private lesson and photo session. Tube along canals and through tunnels originally constructed as part of a 19th-century sugar plantation irrigation systems on the verdant Garden Isle. With Kauai Backcountry Adventures, travelers get exclusive access to the former Lihue Plantation, which sprawls across some 17,000 acres. After a day of tubing, travelers stop for a picnic lunch and swimming. Prices for the tour start at $110 per person, plus tax. Over 100 years ago, a ditch was drilled through the Kohala canyons to move water. Today, you can kayak through these underground tunnels, checking out waterfalls, caves and other impressive scenery along the way with Flumin’ Kohala. Adult tour prices start at $135 plus tax. 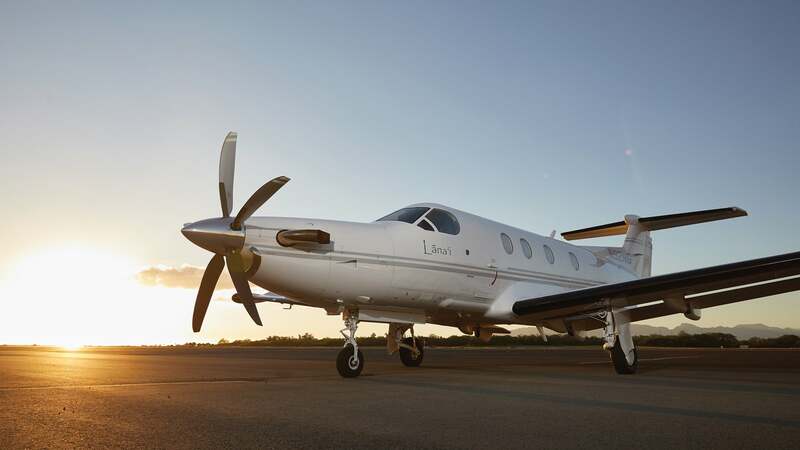 Guests at the Four Seasons Resort Lanai can now fly from Maui and the Big Island on a private Pilatus PC-12 plane operated by Mokulele Airlines. The trip starts from a private charter terminal (including streamlined boarding and departure) and ends with a Four Seasons representative welcoming you to Lanai in either a Mercedes or a Tesla and driving you to the resort. Prices start at $500 per couple and reservations can be made by calling 833-486-8397 or emailing reservations@lanaiair.com. Feature image by M Swiet Productions / Getty Images.